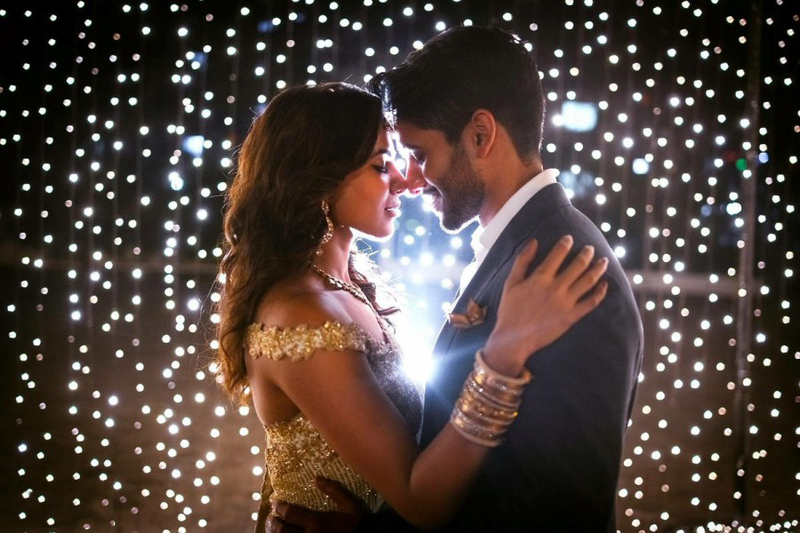 Love is in the air and wedding bells are ringing! 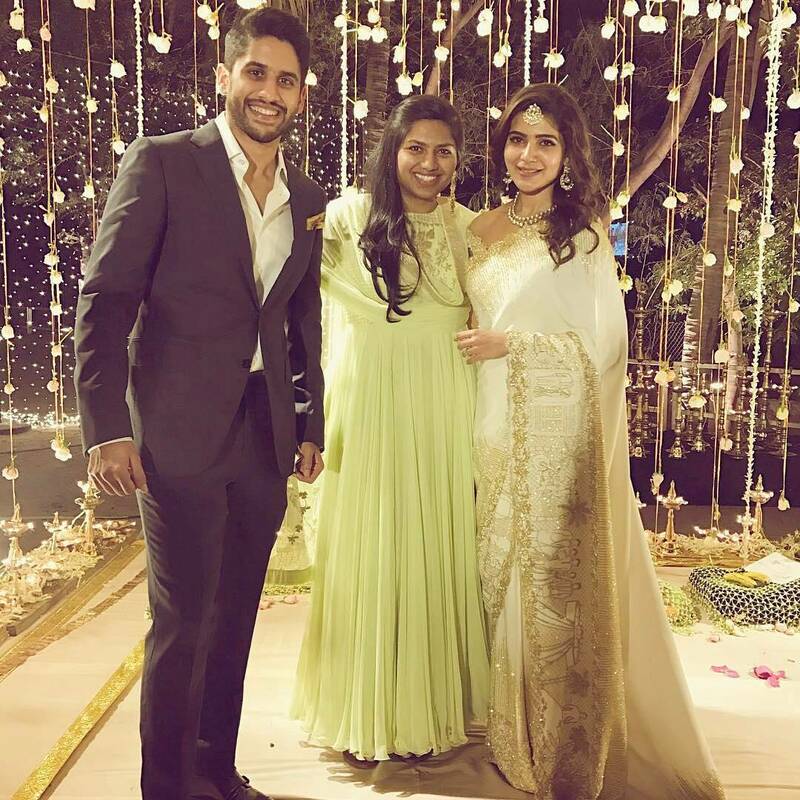 Finally, the engagement of one of the most loved couples in Tollywood, Samantha and Naga Chaitanya, is something that everyone is talking about. 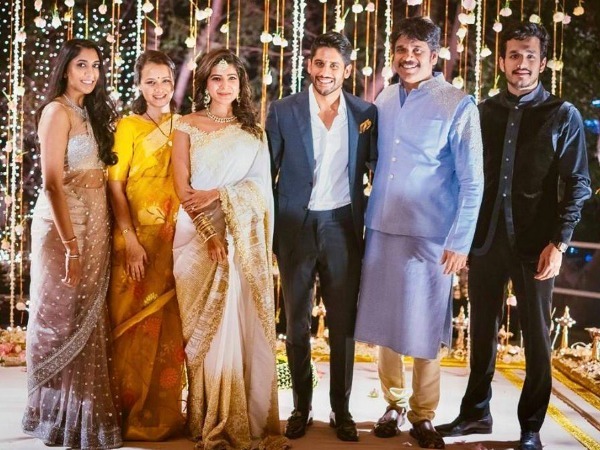 Even though only near and dear ones attended this function, the photos from the occasion were adorable. And whoever said that such love stories don’t happen in real life? Since a picture is worth a thousand words, let the pictures do all the talking! Happy reading. On the day of the engagement Samantha looked stunning! 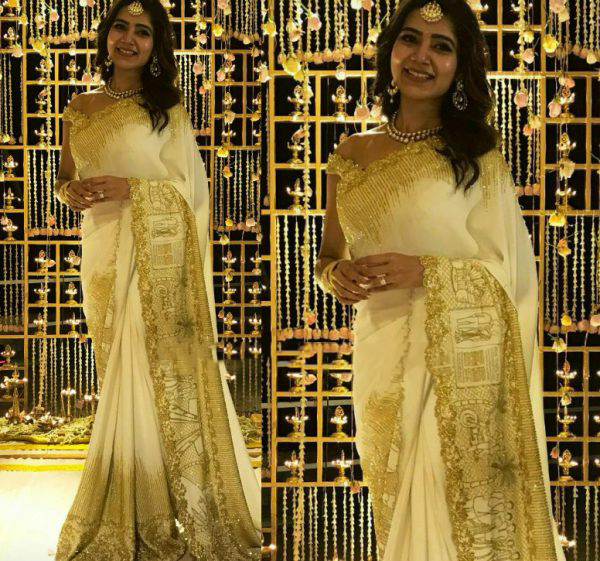 She selected a gold and off-white saree designed for her by Koecsh by Kresha Bajaj, which was gorgeous. The elaborate embroidery added to the fashion quotient of her outfit. The pretty lady wore a mang tikka, chand ballies and a necklace. The combination of gold and off-white bangles ensured that everything matched with her outfit! Extra points for that. And yes, this fashionista looked fabulous for her engagement. Can’t wait to see the look she puts together for her wedding! It’s definitely something worth looking forward to! If you loved this article, spread the love by sharing it with your friends. Don’t forget to subscribe to our website for the latest style updates. Stay stylish!